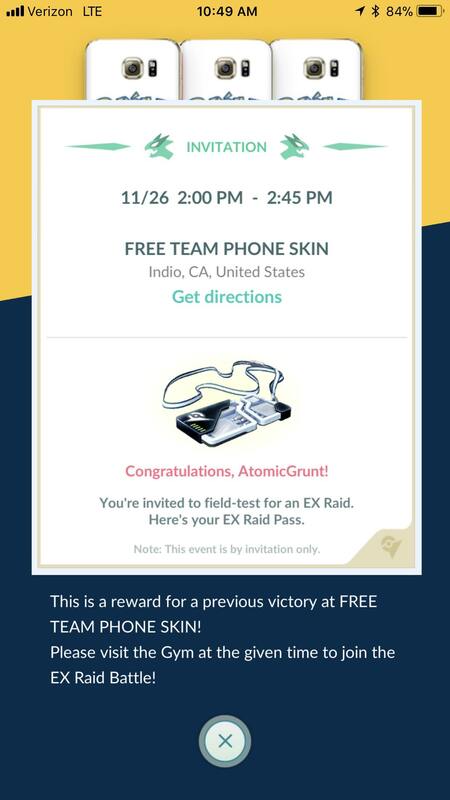 Home > Intresting > New round of EX Raid field test invites is out: November 26! New round of EX Raid field test invites is out: November 26! a new wave of EX Raids has started, targeting both first time and experienced Raiders. As of the time of this writing, we can confirm that this series of EX Raids is worldwide, its taking place both at normal and sponsored Gyms and it includes cities and players which have never had raids before — nothing really new there. The common dates and time slots for this EX Raid series are 26th of November, time slots in the afternoon. The raid time window is still 45 minutes long, the same as with previous raid invites. It’s curious to see for how long will Niantic keep up with EX Raid tests, as weeks are going by with no clear response from the dev team. What are we still testing? How are invite recipients picked? Do Gods of random number generators truly exist? And where in the world is this week’s teased news? If you are one of the lucky ones to receive an invite this time around, be sure to share your experience on the GO Hub forums. If you are not one of the lucky ones, be sure not to share your salt in the comment section below. We understand. It’s not up to us. Keep the Hub’s comment section clean. Please. The post New round of EX Raid field test invites is out: November 26! appeared first on Pokemon GO Hub.